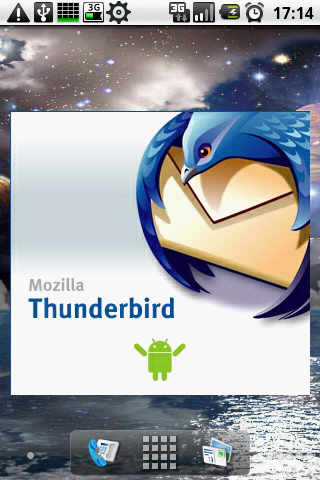 Impress your friends that you have Mozilla Thunderbird e-mail reader on your Android phone. 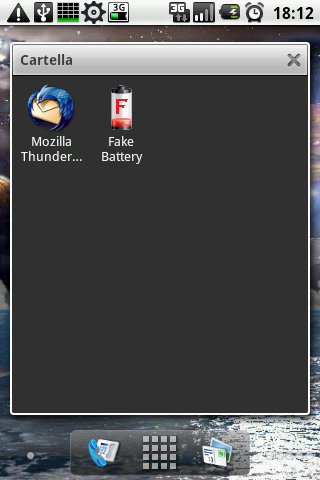 This is not real application, it just starts Android GMail, but uses Mozilla Thunderbird icon. if GMail is not present in your device (can happen with Orange HTC Tattoo) don't install this app. The splash screen will not displayed if you exit from GMail using home button, use back button instead. From mobile browser click on the barcode to download the application.